In my first post, I described the strange piece of manuscript I found in the Beinecke Rare Books Library at Yale University, and its relationship to Stevenson’s Tahitian ballad “Song of Rahéro.” The second puzzle piece that I found during that trip was held not in the library but in the Yale University Art Gallery, which, during my stay in New Haven, happened to be hosting a special exhibition of works called John La Farge’s Second Paradise: Voyages in the South Seas, 1890–1891. La Farge, an American painter and writer who spent a year travelling in the South Pacific, had met Stevenson in Samoa in October 1890; La Farge described this meeting in a letter to the New York Times published shortly after Stevenson’s death. La Farge’s Sketchbook #8, “Tahiti – 1891,” includes transcriptions of indigenous Tahitian legends. Stevenson claimed that “as many as five different persons have helped me with details” of the story that became his “Song of Rahéro”. It is probable that these five persons were (i) Ori a Ori, the dedicatee of the poem; (ii) the Teva matriarch Ari’i Taimai, and three of her adult children: (iii) Queen Joanne Marau Ta’aroa Tepau Salmon (who Stevenson called Queen Marau), ex-wife of the French Governor King Pomare V; (iv) Tati Salmon, who Stevenson identifies as the “hereditary high chief of the Tevas” in his notes to the poem; and (v) Moetia, for whom Stevenson wrote “To an Island Princess,” later published in Songs of Travel. Marau and Tati were fluent in English, French and Tahitian, which meant they could communicate fairly easily with Stevenson—who professed in In the South Seas that he only could “smatter” in Polynesian languages. Following in Stevenson’s footsteps, La Farge met with these same people and wrote down the stories that they told him. 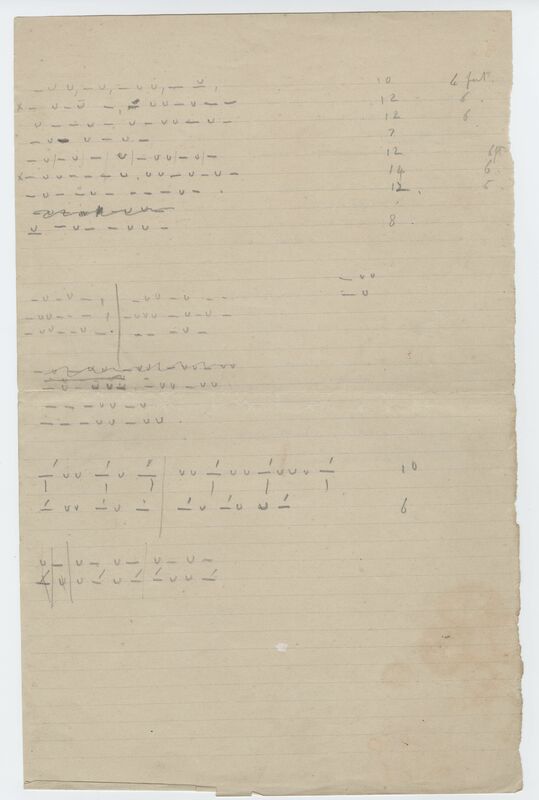 La Farge’s sketchbook transcriptions—published almost verbatim in his posthumous Reminiscences of the South Seas (1912)—provide examples of the kind of source material Stevenson integrated in his Tahitian ballad. Like Stevenson, who claimed he had “not consciously changed a single feature” of “Rahéro,” La Farge repeatedly stated in Reminiscences that he had not edited the words of his sources: “This is the story exactly as Queen Marau told it”; “I leave it as I first wrote it down”; “[The above contains] words that I do not quite understand”; and so on. Of course, these Teva storytellers would have been self-editing their stories, telling them as them could be received and understood by La Farge—in English, with some indeterminable degree of consideration for the conventions of English-language story-telling. Still, the apparent lack of editorial intervention on the part of La Farge’s text gives us access to what appear to be quotations from a woman who may have been one of Stevenson’s sources. So while Stevenson’s drafts of “Song of Rahéro” may still be missing, La Farge’s sketchbook transcriptions provide a glimpse into the kind of stories that Stevenson may have been told, by these same people, in 1888. Part of the exhibition is available as an online exhibition at the Yale University Art Gallery site, John La Farge’s South Seas Sketchbooks 1890-1891. The full Spectator archive has just become available online. http://archive.spectator.co.uk/. I did a quick search for “Robert Louis Stevenson” and came up a number of interesting items, including the following. SCHUMANN’S music, like the writing of Robert Louis Stevenson, suffers today from that kind of neglect which does not often permit us to make any effort to study it, even though, when by some chance we do, we seldom fail to find enjoyment in it. Stevenson’s neglect (except in schools, where the little innocents, unaffected by literary fashion, are still offered up to his cult) is probably the more general, because there is no literary substitute for a new set of gramophone records to provide the necessary incentive. So Stevenson remains unread, while a new recording of the Third Symphony —an excellent one, by Piero Coppola and L’Orchestre de la Societe des Concerts du Conservatoire (H.M.V. DB 4926-8, 18s. )—makes us turn our attention once more to Schumann…. This sentence, I suggest, is an instance of a skill which — whatever differing views there may be about its worth — Stevenson developed to a high degree and over a wide range. I can only call it an onomatopoeia not of sound alone, but of sight, action and process as well. The quoted sentence, especially in its context, suggests the regular rhythm of a pendulum and escapement brought abruptly to a stop. (Was ‘horologist’ quite so antique a word in even Crane’s time?) “. . in my precipitous city” (dedication to Hermiston) and “wilderness of tumbled boulders” (Fontainebleau) picture in sharp or rounded vowels the scenes which they describe. The “brutal instant of extinction” (Hermiston) tells the jerking fall of a hanged man. “The sea bombards their founded towers” marks out the surges which still, as then, wash against the Bill Rock and Skerryvole. “The rain erases and the rust consumes” the inscriptions and fittings of a family tomb. One cannot deny that there is much in the criticism of Stevenson’s use of antique words, but it is not the whole story.